We have two 60 pound poodles in the studio today, so you know we're going BIG! 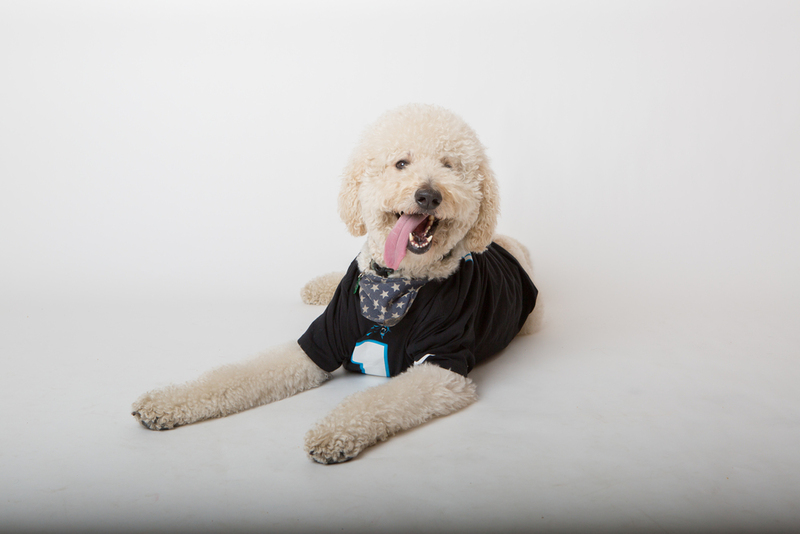 We had this idea of having Seamus (Panther's shirt) and Romeo (Bronco's shirt) model for us in the studio, and though it was challenging having them sit still together, the pictures came out totally amazing! 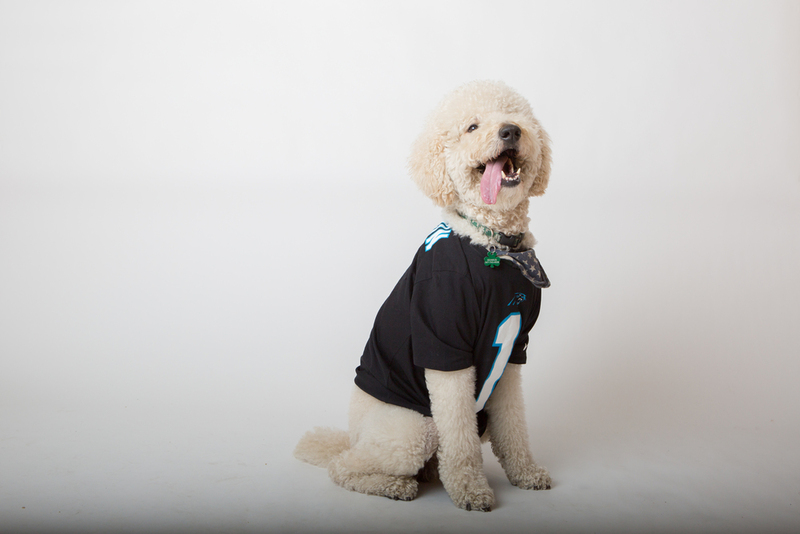 They brought so much energy, and more importantly, it was simply fun watching these dogs roam around the studio. It's not every day we see Seamus and Romeo in the same room sticking their tongue out for us! Check out our session below.